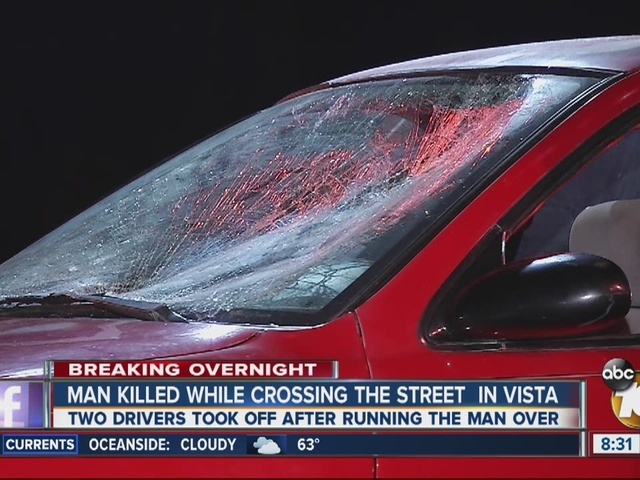 Officials believe an elderly man was struck and killed by two consecutive hit-and-run drivers in Vista, the California Highway Patrol said. The 65-year-old victim was crossing the street at South Santa Fe Drive near the intersection of Palmyra Drive at about 10:15 p.m. on Friday when he was hit by a red Chevrolet Prism headed east, CHP officer Jim Bettencourt said. The driver did not stop. Instead, the unidentified person allegedly drove to nearby Estrelita Drive and ditched the vehicle. The CHP took the car into custody. However, the driver of the Prism might not be the only suspect. Their investigation led CHP officers to conclude that the victim was hit by another vehicle after the initial impact, Bettencourt said. The second vehicle was described to investigators as a white or silver sedan, possibly a Toyota with damage to its front bumper. Officers said they had leads on the suspects but no arrests have been made. The victim was pronounced dead at the scene, Bettencourt said. 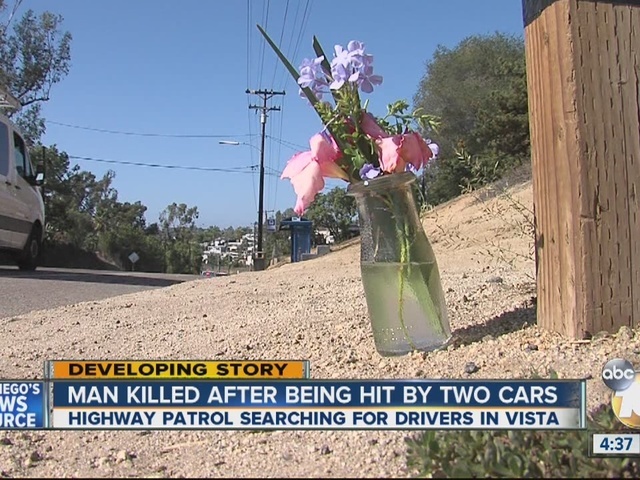 The CHP asks anyone with information about the case to call dispatch at (858) 637-3800.